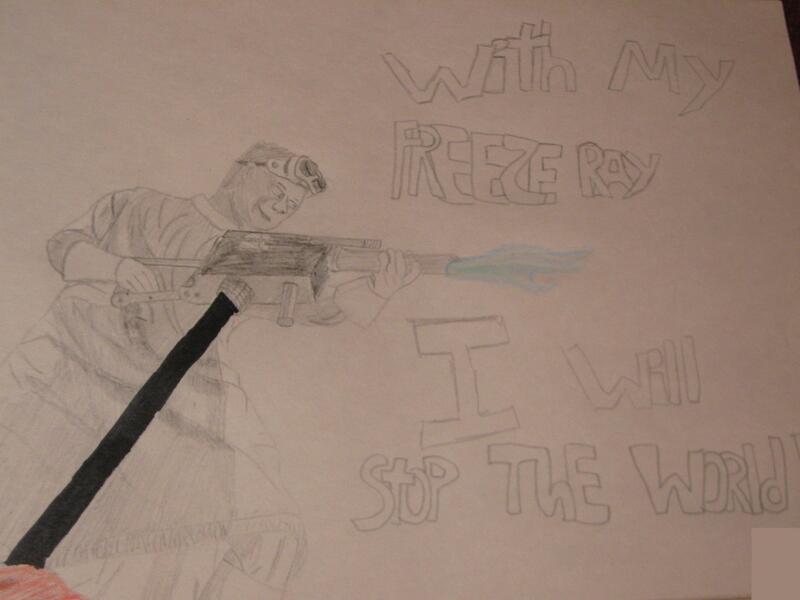 My DRAWING of Dr. Horrible and his Freeze ray. i drew this. HD Wallpaper and background images in the Dr. Horrible's Sing-A-Long Blog club tagged: dr. horrible's sing-along blog act iii dr. horrible screencaptures image. This Dr. Horrible's Sing-A-Long Blog fan art might contain claymore.